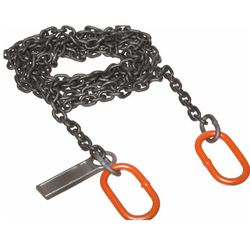 Our product range includes a wide range of three leg chain slings, endless chain sling, chain slings and single loop chain sling. Backed by the team of assiduous professionals, these Three Leg Chain Slings are manufactured and supplied by us with uttermost perfection. Widely used in performing reliable material handling works, these slings are applauded for high strength and corrosion resistant traits. The fabrication of these slings is done as per latest industrial norms in varied specifications for serving divergent needs of customers. We manufacture these Endless Chain Sling using high-grade quality materials and widely used in various industries for different applications. 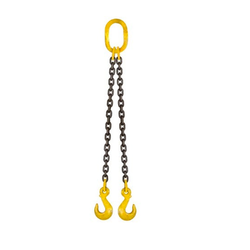 Our lifting accessories/industrial lifting equipment/lifting slings are widely in use. We manufacture these Alloy Steel Chain Slings strictly as per I.S. 2760 & ISO standards using high-quality materials and widely used in various industries for different applications. These are provided with various end fittings as per specific requirements of customers. Our range of products is known for their flexibility, durability and long lasting capability. They are designed to suit the various lifting applications and also to meet the international industry standards. 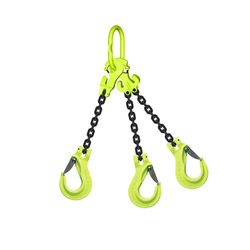 These lifting equipment/chains/slings are available in different sizes at affordable prices. 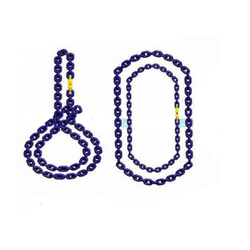 We manufacture these Single Loop Chain Sling using high-grade quality materials and widely used in various industries for different applications. These slings are manufactured by utilizing high-grade materials and progressive technology as per latest industrial norms. Owing to these prospects, our offered slings are well known for high durability and rustproof finishing. In addition to this, we supply these slings in durable packaging at affordable price tags.